North Dakota is not talked about nearly enough. In 2013, North Dakota was ranked the number one happiest state in all of America. A huge part of this was due to satisfaction in the work place and overall physical well-being. 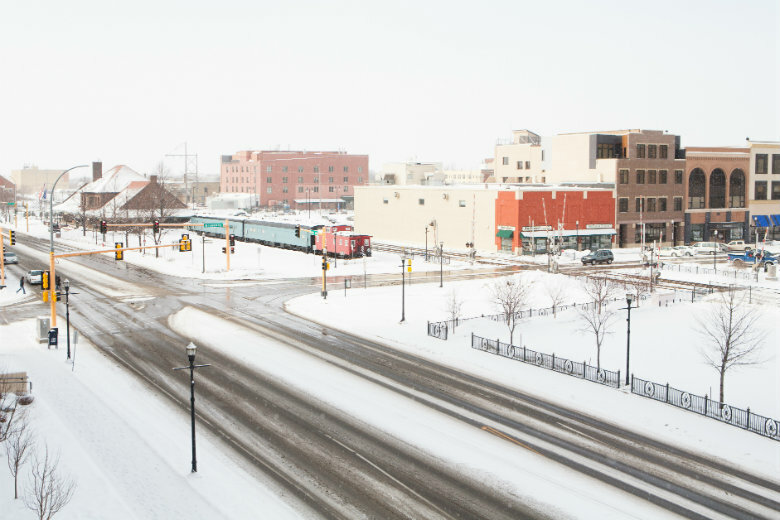 Over the past several years, North Dakota has seen a major boom in job development. When, there are more jobs, there are more happy workers. Visit North Dakota. If you are planning on relocating to North Dakota, consider using National Dispatch to help! Here at National Dispatch, we specialize in car transport services. Below you will find a list of car transport services that can help get your vehicle from your current location to your new home. With this service, you car will be loaded onto a car carrier that typically holds between six to nine vehicles. The carrier is open-air, so your vehicle will be exposed to natural road elements. However, open auto transport is a safe, quick, and reliable way to transport your car. This option is very similar to open auto transport, but the major difference is that your car will be placed in an enclosed carrier. This protects the vehicle from unwanted road elements and weather conditions. We highly recommend this service for customers who are shipping high-valued vehicles. If you have a vehicle that is no longer in operable condition, but you need to move it, we can help! We have the equipment, energy, manpower, and ability to move your non-running vehicle to anywhere you may need it to go. When moving these automobiles, it is crucial that you find a company that knows what they are doing. Here at National Dispatch, we know how to properly transport these kinds of vehicles. As mentioned before, North Dakota has a booming job market. If you have already landed a position and your new company is willing to pay for your relocation fees, have them call us! We work with everyone from small businesses to larger corporations to help in the relocation process of their employees. Both open and enclosed auto transport services are utilized in this service. Find out more by reading our Corporate Relocation Guide. Once you have gotten your family, belongings, and car to North Dakota, you may be ready to explore. Below, you will find a list of some fun things to do and see in your new home. Theodore Roosevelt had a love affair with North Dakota. 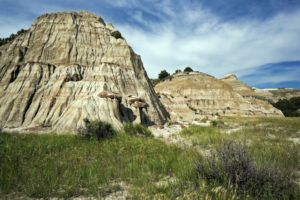 One glimpse into this National Park, located in Medora, will explain why. The park is over 70,000 acres of beautiful scenery. You can take a hike along the many trails or simply drive through scenic highways. During your visit, you will most likely see a herd of bison and elk grazing or hear the prairie dogs chattering. If you see the pronghorns, consider yourself lucky, because they are one of the fastest land mammals on the continent. The park offers a wide array of outdoor activities to enjoy, including camping, cycling, kayaking, skiing, fishing, hiking, horseback riding, self-guided nature trails, and wildlife viewing. The International Peace Garden, located in Dunseith, is a garden that is shared by both Canada and The United States. The garden represents the over 200 years of peace that exists between the two countries. The garden consists of more than just flowers. It gives guests a variety of things to do, including canoeing, cycling, visiting the bell tower, contemplating world peace at the Peace Chapel, shopping at the gift shop, mourning at the 9/11 memorial, and staying at the historic lodge. Have you ever wondered what it is like to be Scandinavian? Well, head over to Scandinavian Heritage Park in Minot, ND to find out. The Park offers replicas of many places in the five Scandinavian countries and was created to celebrate their heritages. One of the park’s Scandinavian representations is the 30-foot Dala horse that was dedicated by the Swedish Heritage Association in 2000. The Dala is the most recognized Swedish symbol in the entire world. Another very important part of The Park is the waterfall. Water is a very large part of the lives of Scandinavians, and this waterfall represents that. The Park also has a stabbur that is a replica of a store house built in the late 1700s in Norway. If taking long drives is your thing, consider driving the Enchanted Highway. It is a 32-mile stretch of road that starts in Gladstone, ND and ends in Regent, ND. The highway has large metal sculptures placed along the sides of the road. Some of the sculptures are “Geese in Flight,” “Grasshoppers,” “Teddy Roosevelt Rides Again”, and “Tin Family.” Once you reach Regent, you can check out the gift shop where you can buy miniature replicas of each statue on the highway. If you are looking to stay the night, the Enchanted Castle motel and restaurant provides hot meals and cozy beds. If you enjoy looking at wild animals but do not necessarily enjoy being in their environments, then the Dakota Zoo is for you! The zoo is located in Bismarck, ND and offers guests a unique experience. The zoo was founded in the 60’s and has grown from 15 acres to a whopping 90 acres. At the zoo, you can see more than 600 animals from a variety of species. Some of the animals at the zoo, include prairie dogs, box turtles, snakes, porcupines, geese, foxes, wallabies, bobcats, bald eagles, tigers, snow leopards, grizzly bears, and many more. If you fall in love with one of the many animals, you can”adopt” them. Meaning, you can pay a small fee to donate towards that animal’s well-being. The zoo also offers a program, where you get an in-depth look at what goes on behind the scenes. There is even a Family Zoo Snooze Campover, where you and your whole family can camp out in the zoo and wake up to the sounds of roaring lions. Are you thinking about moving to North Dakota? Enlist the help of National Dispatch, a nationwide car transport company. We offer a wide range of car transport services to meet your specific needs. Request a free, instant car transport quote using our online quote calculator. No personal information is required. If you prefer to speak with an auto transport representative, contact us at 800-321-2051.